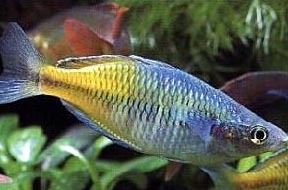 The Boesemani Rainbow is also known as the Melanotaenia boesemani. They are best kept in water parameters of PH level of 7.0 – 8.0. Temperatures of 24 – 27 Celsius / 75 – 80 Fahrenheit. They can grow up to 3 inches fully grown.. 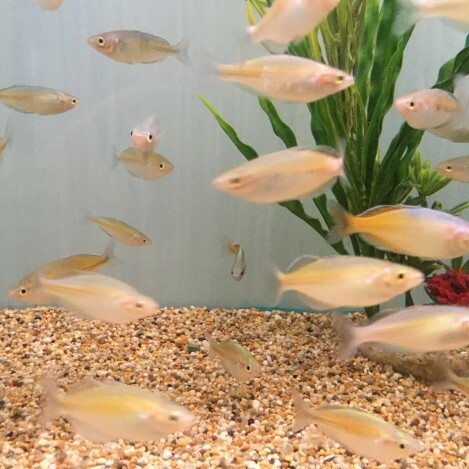 The Boesemani Rainbow are a lovely colourful fish. They are suppose to be a peaceful fish, but they can be a little nippy from time to time. 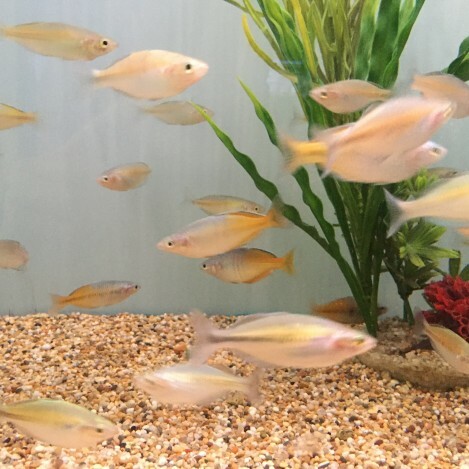 They are best kept in small groups as they are a playful, lively fish. As they are always on the move its best to give them a bit of room to swim. They are a very greedy fish so they will eat any food you put in the tank. They do require a bit of live of frozen foods to keep them happy. They will eat any food you put in the tank, but they do require frozen or live foods in there diet.